iVET360’s Pulse digital dashboard combines operational data from practice management software, financial programs, and other statistical sources, allowing for one-source conversations among veterinary hospital owners, practice managers, and their teams, according to the company. Veterinary offices can track new client growth, revenue, transactions, and gross profits. Pulse features benchmark reporting, which compares hospital metrics among peers. Users also can access LearningVet.com, an informational hub that translates and presents data, and teaches best practices on veterinary marketing and culture building. 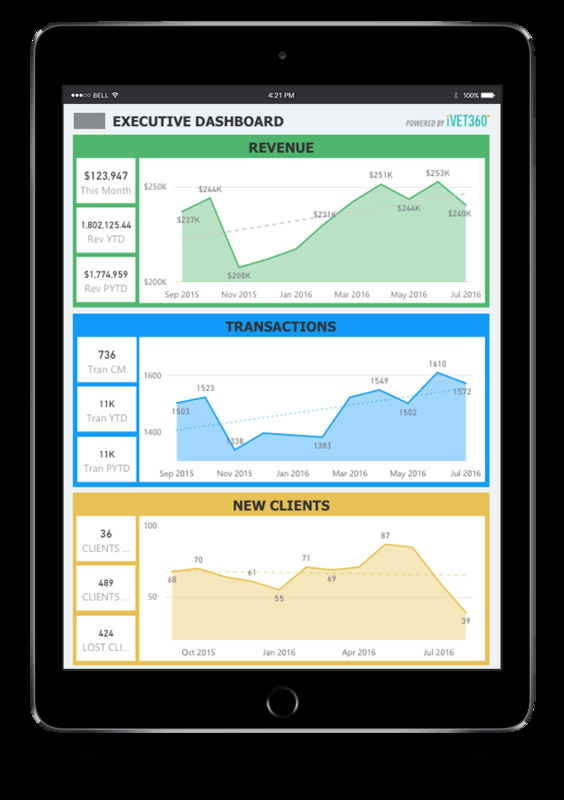 Net client tracking helps gain new clients and keep existing ones, and revenue mix reporting manages fees and cost of goods. Pulse also auto-generates a monthly list of clients who haven’t visited the hospital in 18, 24, or 36 months, allowing for targeted marketing initiatives.